As much as I love flower-covered wedding cakes or cakes with colorful embellishments, sometimes it’s really nice to see a simple yet elegant cake. Take today’s wedding cake – it’s a lovely four-tier cake with gorgeous cream cheese icing and nothing else. 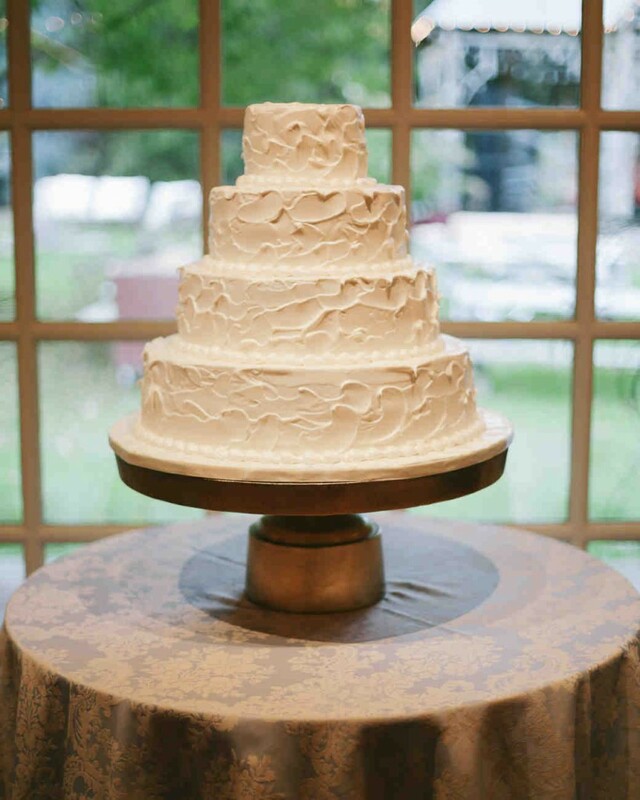 This cake is perfect if you’re looking for a gorgeous, yet understated cake for your big day. No muss, no fuss. You can showcase different flavors of cake under the decadent icing, giving your guests something special. And if you really want to add something to the cake, perhaps a small spray of roses on top would do the trick. You’ll find this simply elegant cake here. It was created by Dessert Designs.